I’m pleased to announce that my short story, “All Dolled Up,” has been accepted for publication in a future issue of Jitter Press. 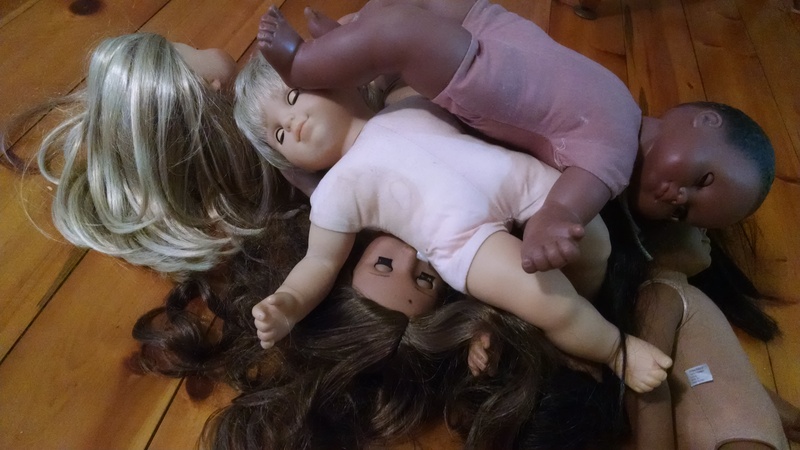 “All Dolled Up” was inspired by an article I’d read in The New Yorker about the “haunted” dolls that can be purchased on Ebay, and the culture that surrounds them (you can read that article here: https://www.newyorker.com/culture/rabbit-holes/ebay-fantastical-earnest-world-haunted-dolls .“All Dolled Up” accepted for publication in JITTER PRESS. Nathan has a “haunted” doll—Jessica—although I’ve seen little evidence, nor do I get the sense, that she really is haunted. I’ll keep you posted on when the issue of Jitter Press will be available. This twisted, hilarious tale of a loyal Disney Cast Member who is fired and seeks revenge conveys a powerful message about loss of identity in one of the most interesting environments possible, but what makes it stand out is its consistent, sardonic voice. It manages to be humorous and depressing at the same time, and the result is one hell of a ride (groan). What’s sad about this story is it’s difficult to find. 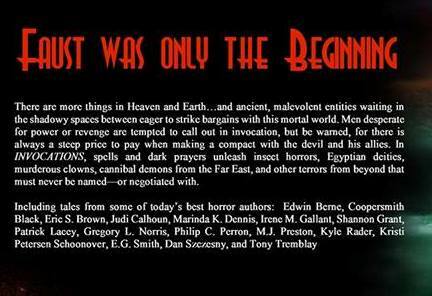 It was originally published in a collection called Going Postal, edited by Gerard Daniel Houarner, in 1998. Still, keep your eyes open. Disney Parks fan or not, this one is a must-read. Although the publisher (Space & Time) still exists, I could find no mention of how to purchase this through them even though it’s rumored to be available there, so, I guess we’re relegated to watching this link for used copies: http://a.co/1n8ip4d. 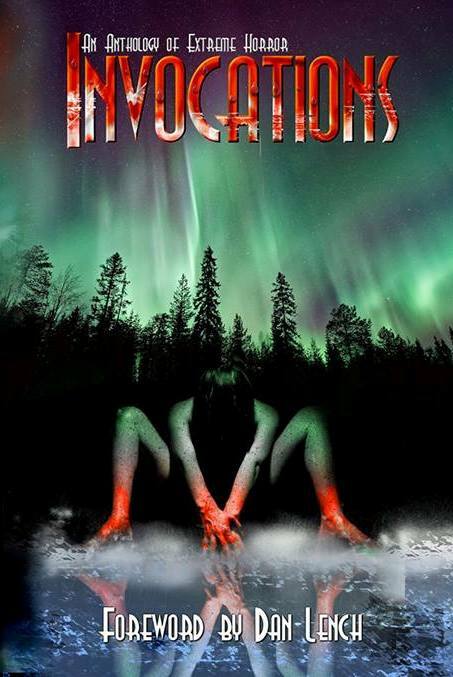 Just in time for Halloween season, Great Old Ones Publishing reveals the cover and table of contents for Invocations, an anthology focusing on all those things we shouldn’t be summoning. The cover is by Mj Preston, author of The Acadia Event. I spent the first six months of this year as a guest editor for an upcoming issue of Dark Alley Press’ Ink Stains anthology series, and I’m pleased to announce that, except for a couple of rounds of proofing and the fact that the cover isn’t complete, it’s in the can! This was my first stint as guest editor, and it was nothing short of a magical experience. 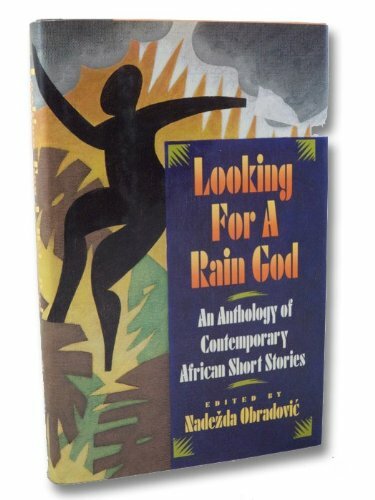 There was something special about not just cherry-picking pieces for a collection from a slush pile, but curating a collection; tapping talent for some unpublished stories that had haunted me for—in some cases—a quarter of a century, or always anticipating that moment when that perfect story I have to have! would appear in the submissions manager. In addition, every writer I worked with shared the vision; it was an enlightening journey in every sense of the phrase. In a future devoid of creativity, a couple is about to become parents for a second time. This comment on expectations and disappointment manages to flesh out an entire world—replete with an alternate history—beautifully in its few short pages, although its real message is cleverly revealed in an ending the reader doesn’t expect. Personally, I love this story for its corporeal rendering; there are at least two images I never forgot after having read this for the first time over a decade ago. “Partial Eclipse” is the opening story in Joyce’s collection Partial Eclipse and Other Stories. I did not realize how lucky I was to have a signed, numbered, limited-edition copy of this book (and now I’m sorry I wrote in it, but hell, it’s what I do with every book I cherish!) until I went to find information for this post. Everywhere I looked was sold out. Amazon, it looks like, occasionally gets some second-handers: https://amzn.com/B000MVQWTA If you’re desperate, reach out to me through my Contact Page.